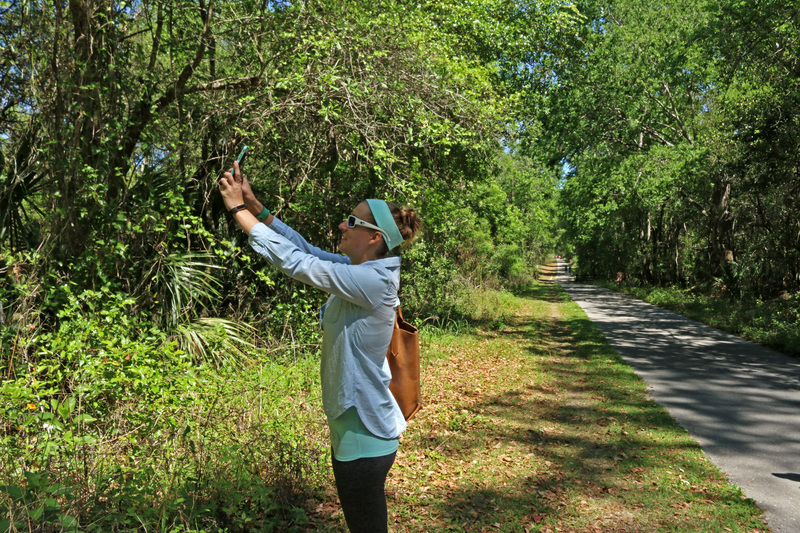 Savanna and Brian stood at the edge of the Gainesville-Hawthorne Trail, gazing at the bright green leaves and red petals of a mystery wildflower. They examined the shape of the blossom, the texture of the leaves, the habitat in which we found ourselves, then turned to online guides within their cell phones. After a moment, Brian smiled triumphantly, “It’s a Coral Bean!” We all grinned, naturalists exploring the Central Florida ecosystems along the trail. Read the entire blog at Firsthand Florida Fun!